A woman is packing up her personal items in preparation to move. Piled up books, a diary and pictures all sit around in a messy home. The woman then finds an unfinished piece of knitting and she begins to finish it. Her friends talk about dating. Soon the woman wanders onto the veranda and burrows things there. 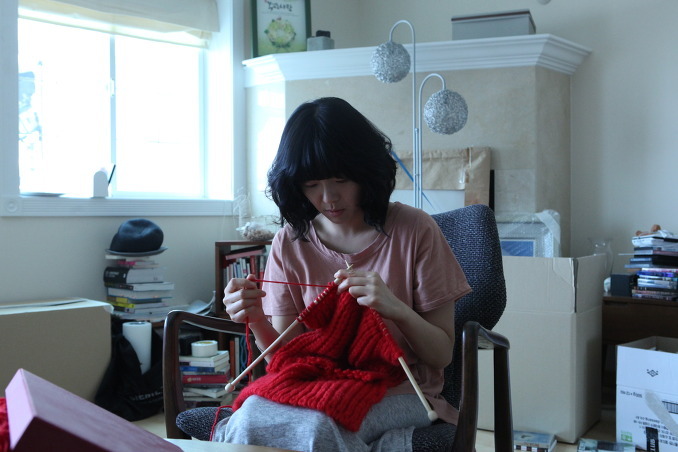 Short film "The Knitting" is the directorial debut of actress Yoon Eun-Hye. The short film was created as Yoon Eun-Hye's first assignment as a graduate student at Chungang University. Yoon Eun-Hye enrolled as a graduate student in the Chungang University's "Division of Korean Digital Image" in March, 2012.
morie a. sietereales Sep 15 2012 6:25 am she is really a talented actress and determined to improve herself. mo' Sep 15 2012 1:45 am yoon eun hye fighting !! !..